Most portrayals of astrologers at work are satirical. This project takes seriously the encounters between the astrologer and his clients. 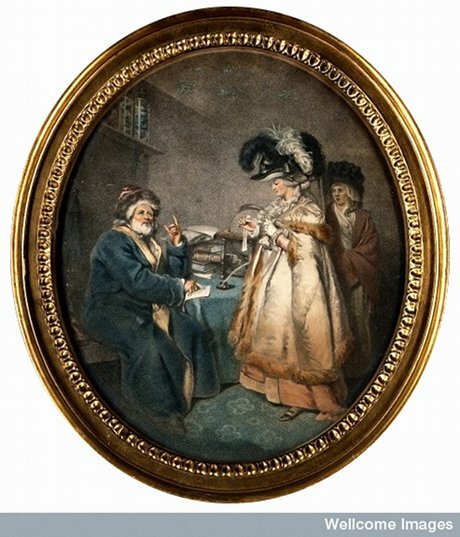 ‘Credulous lady & astrologer’, a colour stipple-engraving by Pierre Simon after John Raphael Smith, c. 1800.
consultations between 1596 and 1603. Most of these are medical. how you would like to be able to use it.